Jaguar Classic is re-starting production of the iconic D-type race car in Coventry, 62 years after the last example was built in 1956. The first Jaguar D-type to be assembled by Jaguar Classic, an engineering prototype, will make its world debut at the Salon Retromobile show in Paris this week. 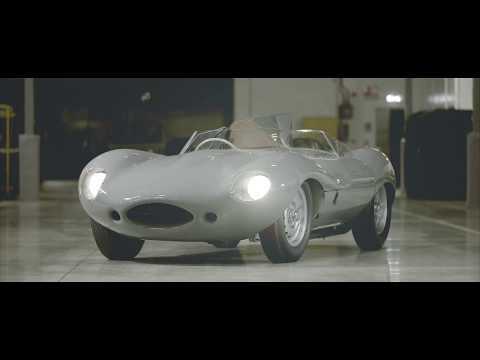 Tim Hannig, Jaguar Land Rover Classic Director, said: “The Jaguar D-type is one of the most iconic and beautiful competition cars of all time, with an outstanding record in the world’s toughest motor races. And it’s just as spectacular today. The engineering prototype is the 1956 Longnose specification, identifiable by its extended bonnet, characteristic tail fin behind the driver’s head, wide-angle cylinder head and quick-change brake calipers.